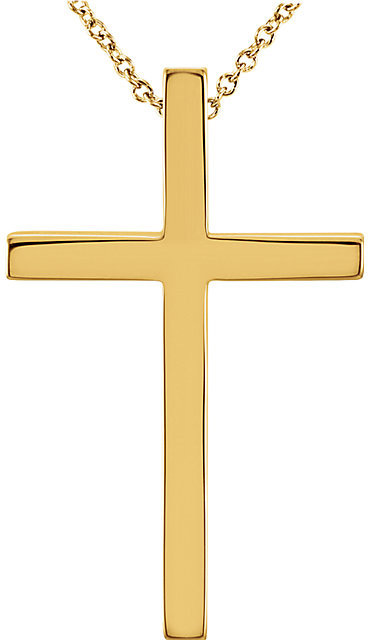 A high-polished, plain gold cross necklace for women with hidden bale, available in 14k or 18k yellow gold. The cross measures 1" tall x 0.62" wide (25.75 x 15.75mm). 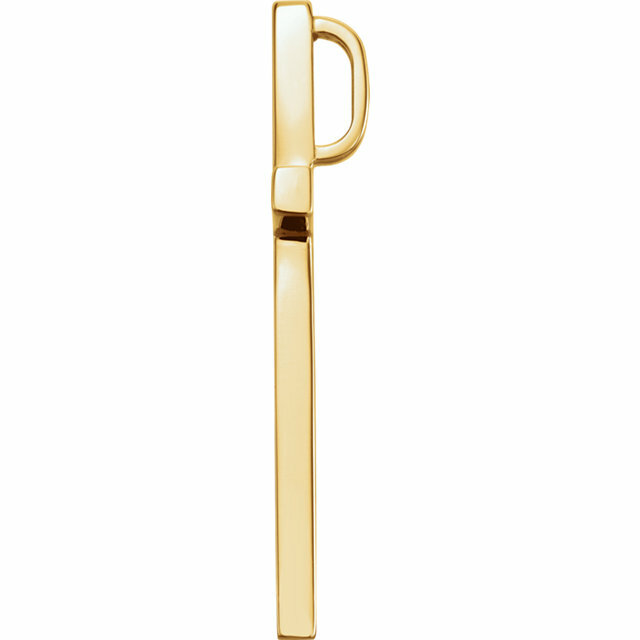 The necklace is a matching solid gold 1mm cable chain in either 14k or 18k gold. Also available in white gold or platinum or in a smaller size (shown below). ""And they said, Believe on the Lord Jesus Christ, and thou shalt be saved, and thy house" (Acts 16:31). We guarantee our Women's Gold Cross Necklace with Hidden Bale to be high quality, authentic jewelry, as described above.